Rolling out of bed in the morning with the wonderful crisp air deserves a delicious scent of apple pie to go with it! 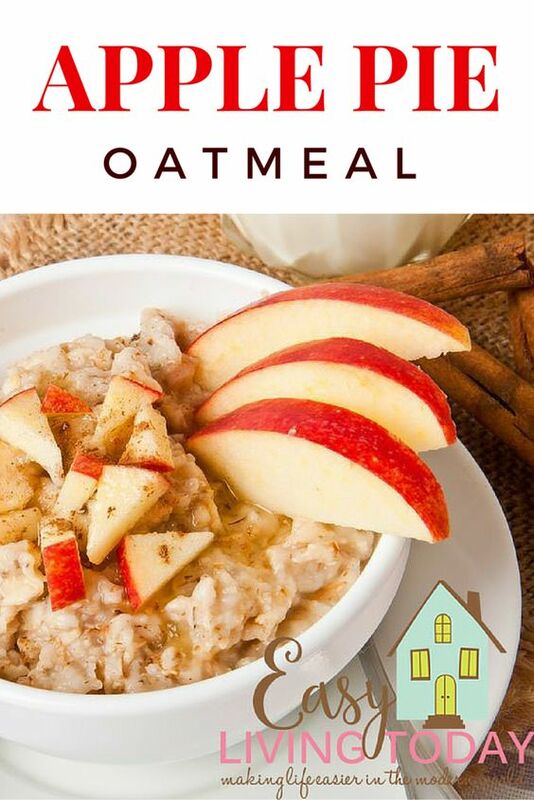 Apple pie oatmeal is a delicious superfood that tastes like comfort food. 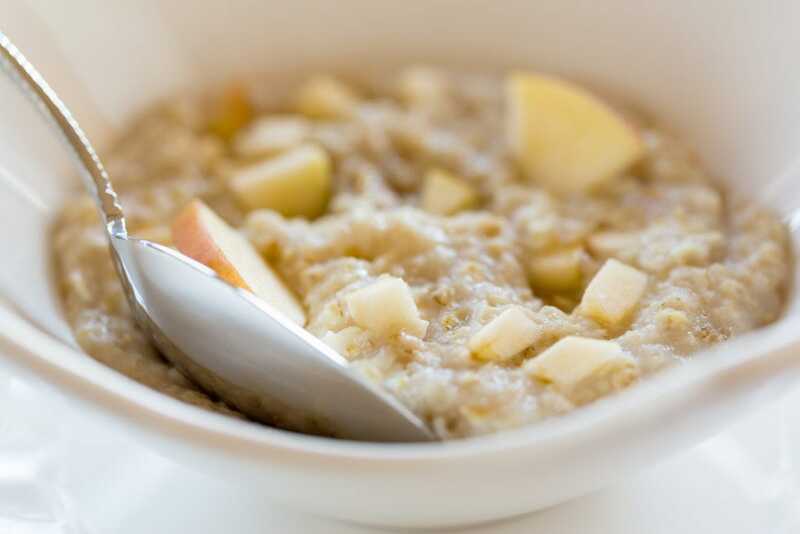 I like to scoop up my hot oatmeal over a room temperature apple because it really gives it an apple crisp flavor. But that might be the pregnancy talking! But, seriously, it’s delicious and great for you. And you can’t go wrong with anything that tastes like apple pie! 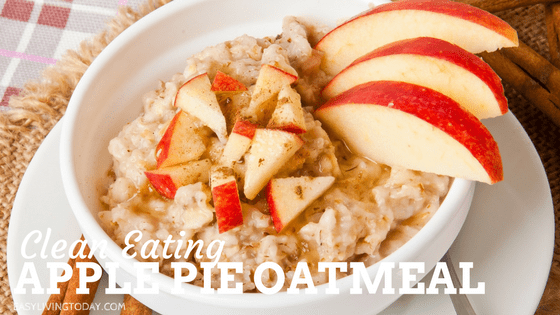 You can even have it as a snack in place of apple pie– especially in the fall! This recipe is full of slow digesting complex carbs that will keep you full for a long time while also boosting your energy. It also has ingredients that are appetite suppressors, which support weight loss. 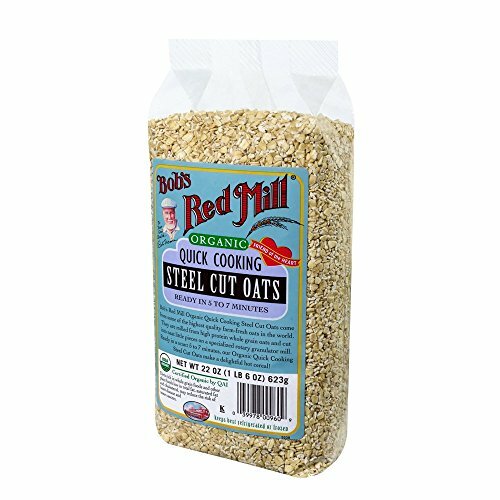 The ingredients are also rich in antioxidants and fiber keeping you regular and healthy. Furthermore, the main ingredients are linked to good heart health, lower blood pressure, and lowered risks of diabetes and strokes. If that wasn’t enough, there’s more- but I don’t want to bore you! Ceylon cinnamon is true cinnamon. What you find in the stores is usually cassia cinnamon, not true cinnamon, and is known to lead to liver damage or failure (in high dosages, like daily consumption) due to it’s extremely high coumarin content. If you want the true health benefits of cinnamon like improved sensitivity to insulin, lower blood sugar levels, protection against cancer, etc- then you should be using ceylon cinnamon. Unfortunately, ceylon cinnamon is hard to find at stores because they sell the cheaper cassia cinnamon instead or over charge for true cinnamon. However, you can find it online for a good price. Ceylon cinnamon also has a sweeter and more sophisticated taste than other cinnamons, so it’s better for most recipes. Combine all ingredients in pan, reduce heat and simmer until fully cooked (about 20-30 minutes). If you like a stronger flavor, you can double the spices. This makes 2 servings, double/triple for more servings.